More than 200 firms contributed to our request for ideas on what the global tech trends will be in 2019. Here's a synthesis of the main themes occupying the minds of the technorati this year. You may be surprised. This year it's all about data - a small, rather dull word for something that is profoundly changing the world we live in. New technologies, from voice-controlled speakers to "internet of things" (IoT) sensors, connected cars to fitness wearables, are vastly increasing the amount of digital data we produce. "In 2019 smart sensors will start to be found everywhere, automating data collection to satisfy the voracious appetite of AI," says Tim Harper, a former European Space Centre engineer and now founder of G2O Water Technologies. AI could be a powerful force for good, improving healthcare and combating climate change, for example. But it also presents many dangers - to democracy, to financial markets, to the belief in objective truth. Image caption Our world is digital now, but has that made it better or worse? 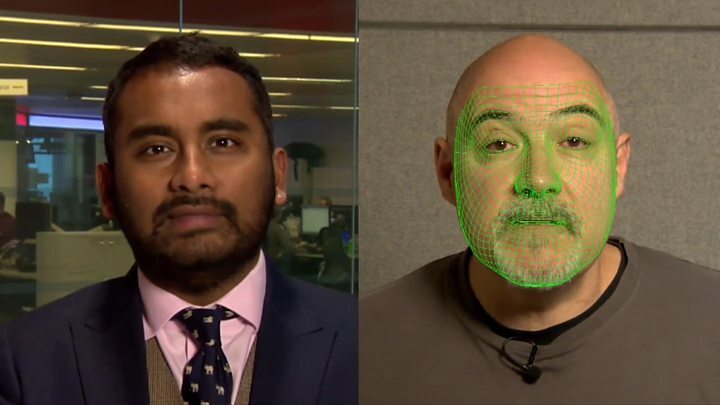 "Deepfakes" - manipulated digital videos that overlay another person's face onto a body or change what people actually said - pose a growing threat, argues Katja Bego, data scientist at innovation foundation, Nesta. "2019 will be the year that a malicious 'deepfake' video sparks a geopolitical incident," she predicts. "Though deepfakes are still a relatively new technology, they are evolving incredibly fast, making it harder and harder for the naked eye - or even digital forensics tools - to identify them. At the same time, they are also becoming ever easier and cheaper to create." 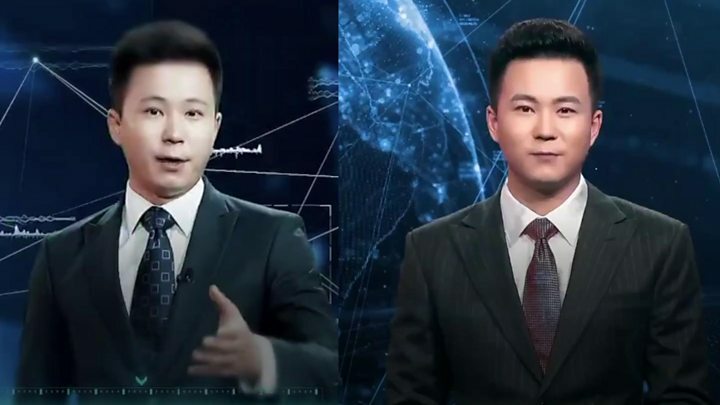 As fake news stories - often state-sponsored - continue to flood social media and China's Xinhua News Agency launches its first AI-created newsreaders, the lines between the fake and the real are becoming increasingly blurred. 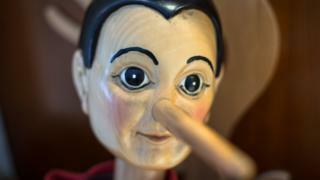 If we cannot trust what we see or hear any more, is this "the end of truth as we know it?" asks Ms Bego. Andrew Tsonchev, director of technology at cyber security company Darktrace Industrial, believes the internet's openness and lack of accountability - qualities its founders cherished - play into the hands of those with malicious intent. "Ultimately, manipulating the public discourse might prove to be a greater cyber-risk than the hacking of our devices," he says. "Controlling data may soon become more important than stealing it." Cybersecurity companies are notorious for scaring us witless in the drive to sell more of their products. But that doesn't mean their warnings are worthless. "2019 will see the first AI-orchestrated attack take down a FTSE 100 company," predicts Jason Hart, chief technology officer, data protection, at security firm Gemalto. Image caption Could an AI-powered cyber-attack knock out a city's entire electricity supply? "A new breed of AI-powered malware will infect an organisation's systems, sit undetected gathering information, adapt to its surroundings, and unleash a series of bespoke attacks targeted to take down a company from the inside out." Greg Day from Palo Alto Networks says: "AI on AI cyber-battles will begin. Cybersecurity will be a machine versus machine fight with humans alongside to help and adjudicate. "While cybersecurity will look for new ways to spot adversaries and threats with AI, adversaries will use AI themselves and increasingly look to subvert machine learning and AI." "We'll see the first example of a scaled-up mass IoT attack affecting critical infrastructure," predicts Darren Thomson, chief technology officer at cybersecurity firm Symantec. But it's not all bad news. AI unleashed on all our health data could herald a new era of personalised medicine, many believe. "We predict that by mid-2020, two in three patients with any condition will be supported by AI and AI-related technologies, either as part of diagnostics, treatment, or administration," says John Gikopoulos, global head of AI and automation at Infosys Consulting. "In 2019, for the first time ever, there will be more health data available outside health systems than inside them," says Othman Laraki, chief executive of Color, a San Francisco-based genetic testing company. "Your Apple Watch can deduce your heart health, your mood, your sleep patterns. Your genome can tell you your risk for inherited cancer and heart disease and traits that impact everything from your caffeine sensitivity to your ability to metabolise medicine." Data-driven healthcare, with an emphasis on prevention rather than cure, will have a "tremendous societal impact", he believes. In the wake of last year's Facebook-Cambridge Analytica scandal, which resulted in a maximum £500,000 fine for Facebook imposed by the UK's Information Commissioner's Office, how big companies use and abuse our data has been under much greater scrutiny. As firms scramble to get their data privacy policies up to scratch now that the European Union's General Data Protection Regulation is in force, "2019 will be the year of GDPR fines", says Harrison Van Riper, a senior analyst at cybersecurity firm Digital Shadows. "In 2019, I expect that consumers will start to reclaim control of their data and monetise it," says Phil Beckett, managing director of disputes and investigations at management consultancy Alvarez and Marsal. "It is then an individual's choice whether they want to share that data with a third party, or not." As consumer trust has been "severely dented", argues Mark Curtis, co-founder at design consultancy Fjord, firms will increasingly adopt a "data minimalism" approach, only asking for data they really need. "They will have to clearly show the payback for users sharing their data, drawing a straight line from the act of sharing to receiving relevant products and services in return," he says. "Without transparency, there is no trust. Without trust, there is no data. Without data, there is no AI," he concludes. While data - how it is produced, stored, analysed and applied - is the key theme for 2019, developing technologies, such as voice control, superfast 5G mobile and connected cars, will gather pace through the year.